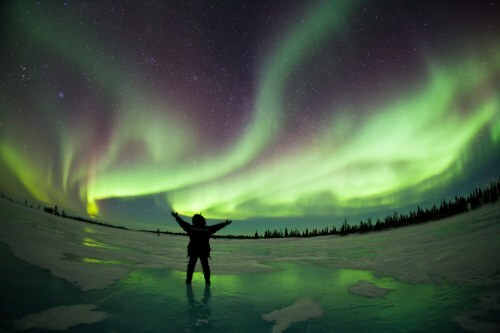 Montreal to Reykjavik, Iceland - $180 to $200 CAD roundtrip including taxes | winter travel, last chance for northern lights? WOW Air does not include any checked luggage in their prices. They charge $60 each way. Obviously in terms of weather, winter is not the ideal time to be in Iceland, unless you want to be somewhere where there's a greater chance of seeing the northern lights. The science suggests that 2017 may be the last year with a high level of northern light activity for a while, as it starts to wind down for the next decade. link: "See the Northern Lights Now Before They Fade Away"
The promo code expires at 7pm EST tonight (Dec 23rd). Update at 2:30 PM EST - It looks like the promo code is not currently working. Did WOW Air deactivate the code before the announced expiration time? Too many bookings? Update at 5:00 PM EST - Looks like it's definitely not coming back. WOW Air has sent out a tweet stating that the promo code has expired (earlier than they said it would). montreal, yul, europe, flight deals, nordic countries, northern europe, reykjavik, iceland, kef, wow air and icelandair.